Amor Amor is a floral fruity nectar for young women who seek a love adventure. It is a designer fragrance premium oil which is very pure and smooth with string scent. The top main notes of this fragrance consist of Pink Grapefruit, Blackcurrant, Bloody Orange while the middle notes contain Jasmine, Lily-of-the-Valley, Melati. The base notes have Ambergris, Vanilla, White Musks, Tonka Bean which makes it long lasting. This perfume oil gives a moderate sillage. Amor Amor fragrance is quite popular among teenage girls. This 10 ml roll-on Amor Amor bottle is exclusively available for you by Insiyah Atoor. This fragrance is based or inspired in the original one, it is not the original one only replicating the scent. 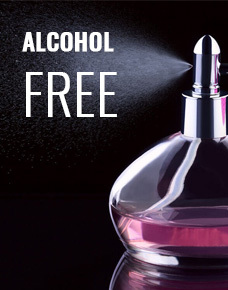 Get this alcohol-free and mesmerizing fragrance by Insiyah Atoor in USA.